National Chapters Committee (NCC) Chairman of Hearts of Oak, Barima Atuahene has shockingly denied any knowledge of the unveiling of the club’s new coach, Kim Grant. 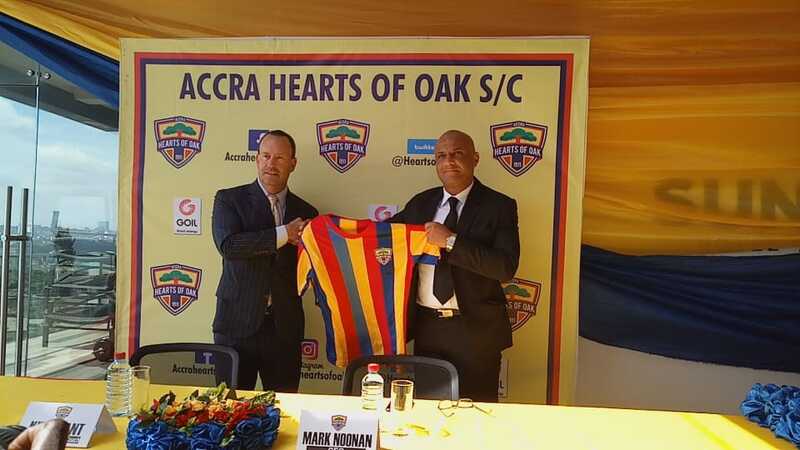 Hearts of Oak on Thursday outdoored Kim Grant as their new trainer after the former West Bromwich Albion defender signed a three-year deal. The 46-year-old gaffer became the Accra-based giants’ 13th coach since Togbe Afede XIV became the majority shareholder of the club in 2012. “I am not aware not Hearts of Oak are unveiling a new coach and director of football today,” Atuahene disclosed on Happy FM. Meanwhile, reports suggest that communications director of the club, Opare Larbi Addo invited the supporters’ front but they declined due to reasons best known to them. “Opare Addo should come out and tell the public when and how he sent the invite to the NCC for the unveiling of Kim Grant. I hate lies and pretenders,” Atuahene fumed.